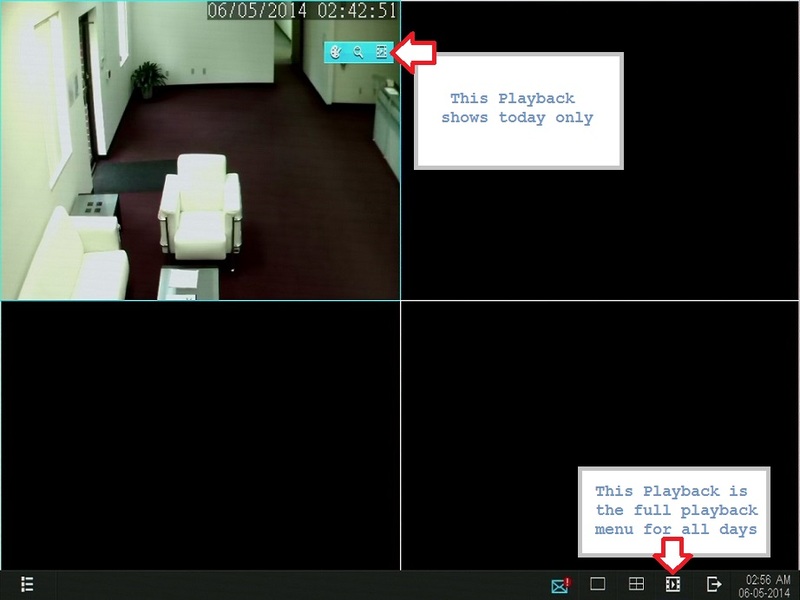 It is simple to playback video from your PoC NVR. 1. Move your mouse to the bottom of the screen until the bar shows up and then select the playback icon pictured below. 2. Select a channel in the top right. In the picture below, CH 01 is selected. 3. Select the date you want to playback video from. 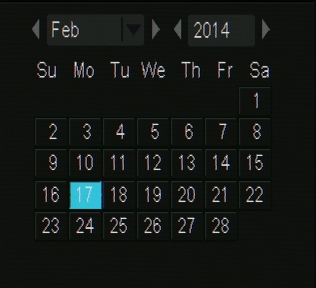 In the picture below, February 17th is selected. 4. Using the video playback controls, select play to start from the beginning of the recordings for the day. In the image below, the first recorded video is after 15:00 hours. 5. If you wish to playback a specific time, just click on the timeline any where you see color. You can even use the scroll wheel on the mouse to zoom in on a more specific time. In the image below, we have zoomed in on the 15:00 hours timeframe and can pick a more specific time.